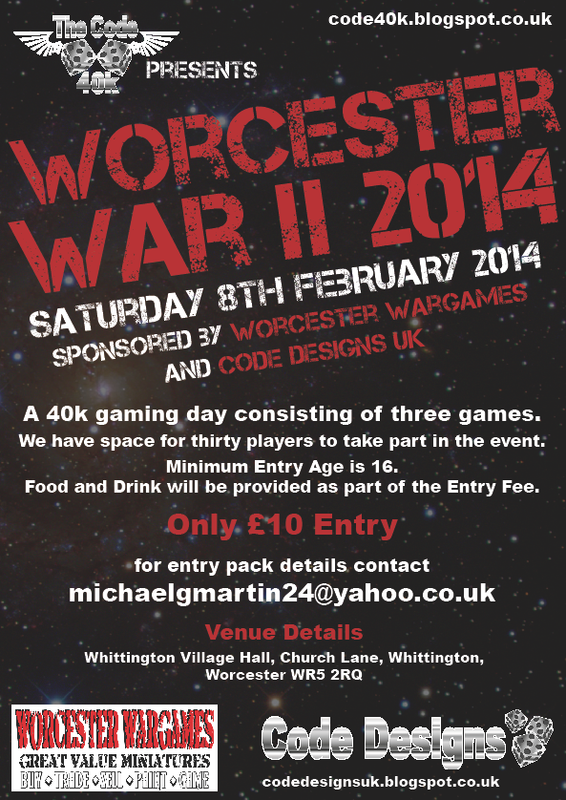 DOC here back to announce CODE40k's second event aptly named Worcester War 2. 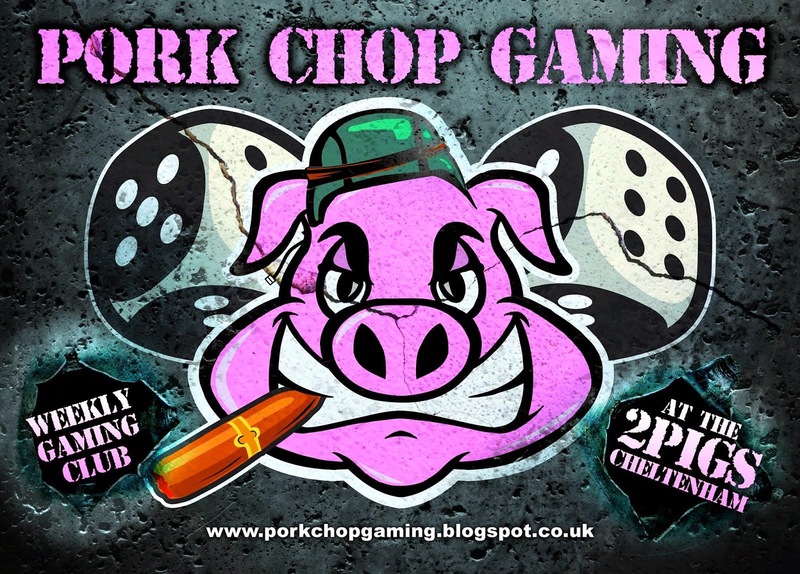 The event will be held on Saturday the 8th February 2014 so plenty of time to get painting and plotting. 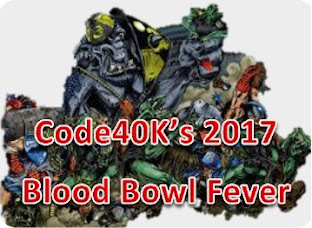 The event gives players the opportunity to play 3 games of 40k at 1500pts. We have taken the opportunity after the success of the first event to make things better! Firstly the event will increase to 30 players. Next we will put food on for the day following on from feedback from the first event. 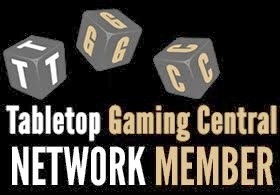 There are some rule changes which will be discussed over the coming weeks after I have given people the chance to digest the rules pack. Needless to say they are aimed at making the event easier to run and participate in. Lastly and importantly we will have two organisers myself and Innermech to make it easier for us to help you guys enjoy your day. For this event we also have 2 sponsors Worcester Wargamers (many thanks to Andy the store owner) and Codedesignsuk both of which will be providing prizes for the event. Please post any questions you may have in the comments or send me an email, look forward to seeing you there. Nikatur S33 is the southern Industrial Farm that has 15 sq kilometers of land for growing Taluneep which is one of the local food sources for the populace. It is a hardy grain. The plant is able to grow in tough soil conditions where a shallow root system is necessary. The farming community had been attacked recently and replacement workers were being selected ready to take their places. An early investigation lead by a team from the Head of Farming Collogica found that the farm workers had disappeared without trace. Unknown to all until now, was the fact that the rebels known as "the Church" had infiltrated the farm working community and were about to take control of the facility when an unexpected attack happened. One of the rebels was able to send an emergency message back to base before they were all killed. The Rebels from the main HQ have sent a force to investigate for themselves what happened to their comrades and to take control of the facility. The Adepta Sororitas from the Order of the Blazing Prophet had captured three Rebels traveling to Nikatur S33 just before the incident happened. Their interrogation revealed, to their surprise, the undercover schemes of the Rebels at the Industrial Farm. But they were not able to extract the whereabouts of the Rebel base from their captives before they died. Cannoness Aubrisha was not happy with the Hospitalers about this. So, she has ordered a force of her sisters to go to the Farm to find out more information. She has informed the Governor and the Farming Collogica of this, who were grateful for her assistance. Both the Sisters and Rebels were unaware the mysterious Eldar had committed the original raid. The Eldar had foretold the awakening of the necroms for hundreds of years in advance and as such seek to stop it ever occurring. 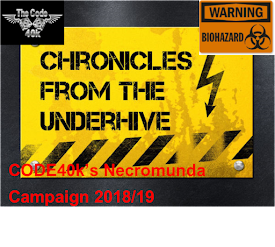 Even they with the benefit of such foresight had not retrieved all of the necrontyr artefacts in the area yet and as the battle commenced were returning to the farm with haste. There are 4 counters on the board. 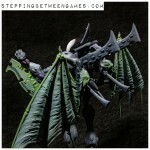 One of them will be the location of the Necron object. It is worth 3vps and can be picked up and carried by any infantry model. That model cannot move more than 6” each turn and cannot run. The other counters are booby traps and when set off will release 1-3 bases of Scarabs. Hand to hand combat will take place that turn with no one gaining the charge bonus. The Comms Relay is located in the main building in the centre of the board. It is immoveable and is worth 2vps to the side that is within 3”. Any infantry model can control the Comms Relay. It grants a 5+ cover save. Other objectives are; Slay the Warlord and First Blood. The Eldar arrive on Turn 3 from a random table edge. They will attack models controlling the Necron Artifact, or if the Necron Artifact is not revealed they will attempt to find it themselves and target nearest units to them. The Rebels fall back to the nearest table edge. The Adepta Sororitas fall back to the table edge they had as deployment. The Eldar fall back to the table edge they had as deployment. Turn order for when the Eldar arrive and when there are Scarabs roaming the board. Suggest their moves etc take place at the beginning of the turn before either player starts their turn. The forces we used consisted of: 500pts Sisters, 500pts Rebels (Siege of Vraks list) and the Eldar Force was Pre determined as Falcon with 5 Guardians with a Warlock and 3 Jetbikes. So this was our loose break down of how we wanted the game to run. Like with many games of these type this was a fairly loose game and we were far more interested in the story arc than the actual result of the battle!! The first 3 photos below show the Rebels set up and the sisters arriving from the far board edge. Please note the 4 objectives are the white circle counters which were in a square set up around the hill top farm. The Vox objective is in the main building in photo 2. 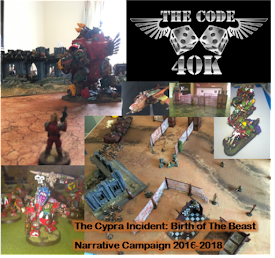 We had designed the game so whoever had the objective was likely to be the recipient of Eldar attack and or Scarab attack. However in a stroke of luck or not as the case maybe the first counter the rebels searched turned out to be the objective this instantly meant no scarab attack was likely to take place. However, it was also the closest objective to the sisters starting position and as such put the rebels on the back foot early on. So the rebels moved up from the other side of the hill and hid between the two buildings where they were mostly out of line of sight and decided to wait for the eldar which you can see are swooping around the top of this shot. Risky manoeuvre letting the sisters have the objective but the rebels were aware the objective could move no more than 6" a turn so they had time! The rebels did however, also move the chimera down the hill to block the sisters attacking from both sides of the farmstead. This also managed to remove a hull point from the rhino with the multilaser this turn. The sisters take the opportunity to move up and swamp around the objective. At this point I was thinking oh jeeze how do I kill all this power armour with a few lasguns, Mortars and a Rocket Team which cant even see this part of the battlefield. As it turns out the night was young! The sisters move past the objective to intercept the incoming eldar attack and kill a jetbike rider. Behind this sister squad the veteran sister leading this expedition Julianne dismounts with her 2 celestian bodyguards to claim the objective. The eldar meanwhile realise they are little far off to make a direct assault this turn and so move to put a building between them and the rebels. They do however start to return fire on the sisters. Are also getting some sister wrath as the chimera is taken out in close assault with krak grenades!! Unfortunately I didn't get a shot of it just before this the rebels used the heavy flamer on the chimera on the squad and killed 5 so it wasn't all bad! Also the rebels had succeeded in bringing this sister squad away from the objective. So deliberately I have kept this out of shot until now for the last few turns this is how the rebels manoeuvred into position. Red squad climbed the roof and started to pour fire down onto the sisters and transport the one plasma gun proving very handy!! The Rebels command squad led by Enforcer Vorxic moved out of the large building leaving the vox unclaimed and went in the building. In this shot they are on top for playing ease but they are actually inside the lean too. We had decided this building was a 1 level building with 3 entrances. Tatically this ended up keeping the rebels in the game. In addition to this the Ogyrn Handler OX and his raging warhounds moved out of the building having again deciding the slow route was better than in the open! The rebels sprung from the building flaming the sisters squad and charging the remaining sisters with the warhounds finishing them off in short order. At present though this was not going to win the day as the sisters were still in charge of objective and using their rhino APC to block the path to the objective. Meanwhile the other sister squad and command go toe to toe with the eldar incursion force. The eldar guardians disembarking and killing a couple more sisters before losing three of their number in return and falling back behind the falcon. Another jetbike rider was also killed not by the sisters but by the rocket team of the rebels. The sisters numbers had started to drop now but all importantly they still controlled the objective. The sisters wisely used the rhino to once again cover their retreat all the available rebels moved towards the objective and the OX and his warhounds charged the rhino wrecking it. Meanwhile the eldar re grouped and mounted the falcon once more. The Hounds had easily killed the last sister squad and charged through to the last sisters still in action to the two celestians and veteran sister superior Julianne. The hounds killed the celestians and indeed took the remaining wounds of Julianne. However, we had agreed before the game that our two leaders could use the necromunda table to see what happened when they lost their last wound. With this Julianne stumbled to her feet to carry on the fight. In the meantime you can see the elder had used the best facet speed to interject on the fight destroying the command squad of the rebels and laying low Enforcer Vorxic who despite his roll on the necromunda table immediately bled out. It was like being back at the start of the game once the rebels get on to an open field they die real quick! This last photo shows the epic conclusion on a battle we think lasted ten turns!! The Eldar joined the fight with the hounds and Julianne just about managing to win the day with only a warlock left. The falcon meanwhile had made light work of the remaining rebels. Although it was caught by the supporting rocket team losing another hull point. This was a great game and giving yourself over to the story sometimes isn't a bad thing it created a great ending as did the first game playing this way. Talking about the result as per the victory conditions we had laid down at the start didn't come in to the post battle discussion rather the next part of the story and what kind of battle we might play next. I'm also intrigued to see if any of you canny readers out there have figured out which book some of this has been loosely based on? So what next has sister Julianne survived her wounds have the rebels sent further forces to the farm. What will the governor and administrator do in response to the increasing elder and rebel threat. Will the awakening gather pace? Doc back again with some information on a new venture here at the CODE. Myself and Inner Mech with input from Red Mist and others have started up a new venture called CODE DESIGNS. We have started producing bases and will be venturing out into small scenery pieces such as objective markers very soon. This time i've just finished assembling Abaddon & Loken. On Abaddon, I went for the sword & not the TL Bolter as I think it just looks better, it also suits the scene a lot better in my opinion. They are excellent models and were easy to assemble with not a great deal of flash or air bubbles which the Justaerins suffered from. The hardest thing with these guys is making sure when you glue the heads they are in the right place, in terms of how they fit on the complete piece. The last thing you want is them engaging each other but looking in completely the wrong directions! Hopefully I've managed to capture them staring lovingly into each others eyes!